Levco Pools Inc. has been “making backyard dreams a reality since 1986.” At Levco, we don’t just drop in a pool and move on; we are focused on creating your very own private oasis. While clearly the pool is the focus of the backyard, there are many other facets that need to be incorporated in order to attain the backyard you have envisioned. 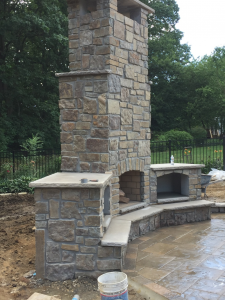 Levco’s skilled masons are vastly experienced in installing decking, fire pits, retaining walls, outdoor kitchens and more. If you are considering doing extensive landscaping and hardscaping then you should consider getting a full landscaping design. 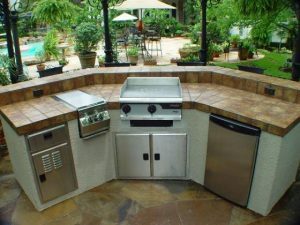 This will help you envision what your backyard will look like and will also prevent any issues from planning and staging the completion of your backyard. 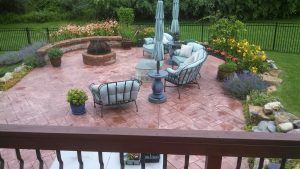 Over the years we have learned that when you take the time to plan your entire backyard it alleviates mistakes and can save you money due to unforeseen issues and more. 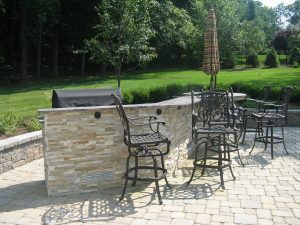 Levco can facilitate this for you as we partner with some of the best landscape designers in NJ. Ultimately, Levco aims to give its customers a complete, all-encompassing experience, as we will ensure that your backyard is installed in a timely and efficient manner, alleviating the “finger pointing” that inevitably happens when you use multiple contractors. Together we will deliver a backyard oasis that will provide many many hours of enjoyment for you and your family.